MOSCOW, August 25. /TASS/.Russia considers Moldova’s initiative in the United Nations concerning the withdrawal of Russian peacekeepers as another hostile action aimed at hampering the improvement of relations between the two countries, Russian Deputy Foreign Minister Sergei Ryabkov said at a meeting with Moldovan Ambassador to Russia Andrei Negutsa, who had been summoned to the Foreign Ministry. According to the statement issued by the Russian Foreign Ministry, Ryabkov "drew the ambassador’s attention to the provocative initiative put forward by Chisinau, which requests that the possibility of a complete withdrawal of foreign military forces from Moldova’s territory be included in the agenda of the 72nd session of the United Nations General Assembly." "Russia stressed that Moscow considered this step, which ignores the real reasons for the Russian limited contingent of troops’ presence in the Dniester River area, as another link in a chain of hostile actions that those politicians in Chisinau, who do not want bilateral relations to improve, have been taking recently," the statement adds. 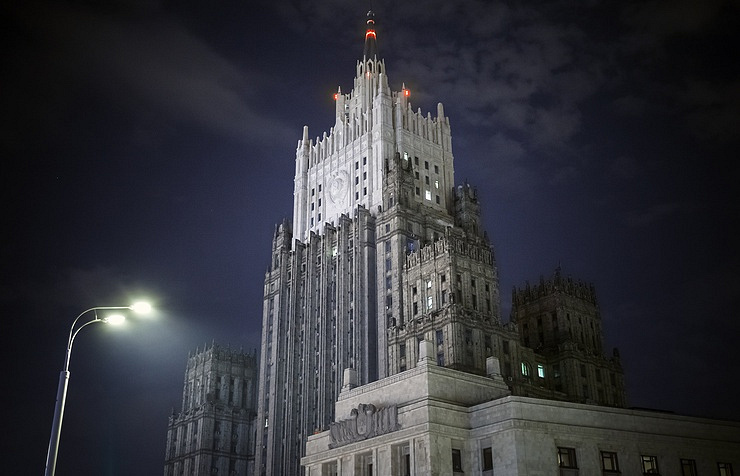 The Russian Foreign Ministry also said that "those who initiate such actions, which do not meet the aspirations of a significant part of Moldova’s citizens, should understand that they will inevitably have a negative effect on bilateral cooperation, as well as on the process of resolving the Transnistria crisis." According to the message of Moldova’s Permanent Representative to the United Nations Victor Moraru, published on Tuesday, the country requests the United Nations to support its efforts aimed at completing the complete withdrawal of foreign military units from its territory. The message also says that it is necessary to consider this issue as a new preventive diplomatic step in a region where peace and stability may be at risk. Chisinau insists that the peacekeeping mission deployed to the Transnistria separation zone be transformed into a civil mission with an international mandate. However, leader of the unrecognized Transnistria Vadim Krasnoselsky is unwilling to accept the initiative, saying that the withdrawal of peacekeepers will lead to a resumption of the armed conflict. Meanwhile, Moldovan President Igor Dodon condemned the government’s initiative saying that in the past 25 years, the peacekeeping mission "has proved successful and should continue, besides, the withdrawal of the military base will only be possible once a political solution to the conflict is found." However, on Friday, the Moldovan government clarified that the initiative referred to the Russian military servicemen who were not part of the peacekeeping mission. Russian peacekeepers were deployed to the conflict zone in accordance with the Agreement on the principles of the peaceful settlement of the armed conflict in the Transnistrian region of the Republic of Moldova, signed with Chisinau on July 21, 1992. Since then, not a single person has been killed in hostilities there. At present, Russian peacekeepers are maintaining peace in the region together with peacekeepers from Moldova and Transnistria. Besides, around 1,000 troops from the Russian Operational Group have been protecting ammunition depots near the Kolbasna settlement, left over from the Soviet times. Tiraspol blocked their disposal in 2004, after tensions rose between the opposing sides. Today, the Russian peacekeepers deployed to Transnistria are actually besieged, as Ukraine has stopped deliveries through its territory.